Netflix is certainly no stranger to fantastic original programming. What once started out as a simple DVD mailing service that competed with Blockbuster, has quickly evolved into the go to source of streaming entertainment for millions. Marvel saw an opportunity, and jumped head first with its Daredevil series. After widespread critical acclaim, Marvel struck gold a second time with Jessica Jones. And here we are at comic book series number three, and surprise surprise, they’ve done it again. Luke Cage stars Mike Colter as the titular comic book character. Having gained bulletproof skin and a superhuman amount of strength in a prison experiment gone wrong, all Cage wants is to live a subtle life as a man juggling two jobs at a local barbershop and nearby music scene. However, any aspiration for the quiet life is quickly thrown out the window when local gangster Cottonmouth (Mahershala Ali) begins ramping up gun running in Harlem. However, Cottonmouth isn’t the only criminal Cage will have to worry about, as the gangster has an equally shady cousin, Councilwoman Mariah Dillard (Alfre Woodard), and a deranged hit man from his past (Erik LaRey Harvey) to toy with as well. Outstanding performances from the wide array of cast members is what commands the Luke Cage series first and foremost. 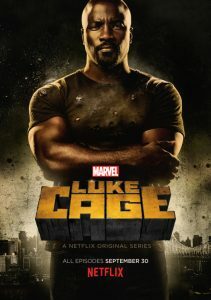 Mike Colter, as seen in his character debut in the Jessica Jones series, provides a stern, yet lovable creation in the character of Cage. We’re given plenty of back story to understand where he’s coming from and why he keeps trying to hide in the background. Although, it’s more what begins to happen around him in Harlem that really sets motion to this show’s exceptional plot. The onslaught of gun violence, the rampant corruption in both the police and government bodies, it’s all addressed so clear-cut and well crafted that it’s hard to not be drawn into this world of superheroes. And all backed by one of the most diverse casts to hit a comic book program? What’s not to love? The villains, especially that of Councilwoman Mariah Dillard and her accomplice Shades (Theo Rossi), you will love to hate. The back story we get for Mariah and her cousin Cottonmouth provides a great scope into their mindsets, Mariah encouraged to study and attend school while Cottonmouth was forced into the family business against his wishes for a music career. Much like that of Frisk from the Daredevil series, these are some of Marvel’s most exceptional villains to debut on any screen, especially when you consider how shallow the majority of villains are in superhero flicks. All of which is compounded by the aforementioned styles of Alfre Woodard, Theo Rossi and Mahershala Ali. Admittedly, they do throw in a fourth villain about halfway through the series that doesn’t live up to the same level of talent that characters Shades and Mariah provide, but actor Erik LaRey Harvey makes it such a cartoonish, over the top performance that it’s hard not to still enjoy the surprise villainous character. On the other hand, one of the bigger complaints there is to be had is the lack of more action sequences. When they do come around, they’re as fun and giddy as any comic book fan should expect. However, most of the focus in this series is centered around great character development, and there’s no arguing that’s one of the many reasons the Netflix exclusive Marvel series’ are so great. And yet, there just seemed like such a present absence of more bombastic thrills, save for the one that helmed the last episode. 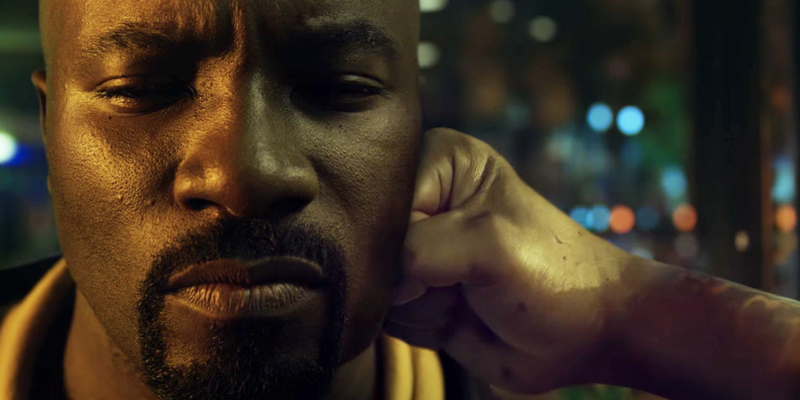 I give the writers credit for throwing in suspenseful moments where Luke Cage is shown to actually have weaknesses and isn’t completely bulletproof, and they do mostly help off set the lack of more action, but that doesn’t change the fact more fights would have been appreciated. This is still another winner from the Marvel/Netflix partnership, and while most of you have probably already binge-watched this show into oblivion, those who haven’t must get on it immediately. It’s programs like this that make it clear why Netflix remains ahead of fellow services like Hulu, and with Iron Fist just around the corner, there’s only more fun to be had for Marvel fans everywhere. Luke Cage is just further confirmation that Marvel and Netflix, just like its main character, are bulletproof. Previous ArticleTV Review: Westworld 1x02 "Chestnut"